DUVE Berlin is pleased to present the London based artist Nathaniel Rackowe and the young Cologne based artist Roland Gätzschmann with their first show at the gallery. In *Superpostion*, the artists will exhibit new sculptures and wall based works. 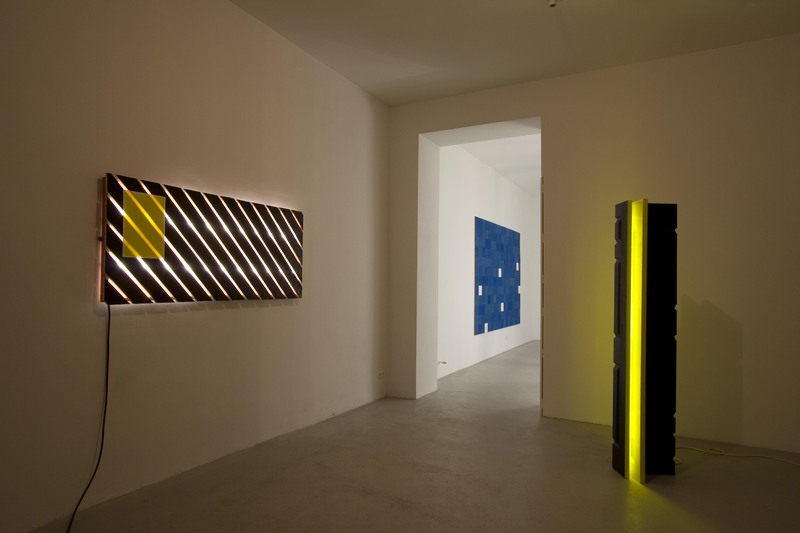 The title of the show, *Superpostion*, draws on two aspects that connect the work of both artists: the magic of light and a fascination with artificially constructed environments and systems. Nathaniel Rackowe's artistic practice is inspired by a strong interest in urban space and the disparate ways of how we exist in and navigate through the network of streets and buildings we encounter in our every day lives. His works present us with what seem to be two different realities: industrial materials such as stone, steel and wood are ultra-realistic, massive, and aggressive. Meanwhile, the artificial light that usually moves around the objects, suggest a mobility and lightness to the point of dissolution. At times, Rackowe's sculptures seem to be striving to escape their static state or to remind us of our own transience. Although the overriding tone of these works is abrasive, Rackowe points out that they also “chase the hopelessly romantic effort to distil those fleeting moments of beauty, those moments when elements are perfectly aligned, which we might call superposition”. Gätzschmann's wall objects approach perfection in a different way. At first sight, his minimalist wall mounted pieces speak the stern language of serieality, that at close inspection turn out to be an ironic dalliance with formal ideas of construction. The choice of material and production methods challenge the conventions that Gätzschmann's uses as his starting point, as can be seen in the colour nuances and form irregularities in the wax plate wall works. Each deviation seems to tell us that perfection does not equal beauty, and mathematical form cannot reflect life. Though the shadows cast by a beam of light and the irregularities in a colour field are still enough to inspire awe. Nathaniel Rackowe, who works and lives in London, has previously shown his works in solo exhibitions at Almine Rech (Paris/Brüssel, 2007 + 2008), and Bischoff/Weiss, London. 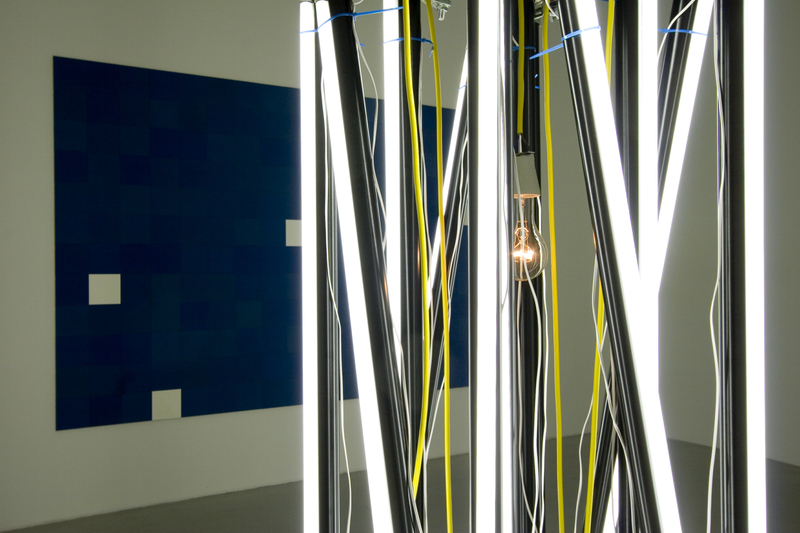 The works of the British artist were included in All Tomorrows Pictures at ICA, London (2007), Artificial Light, which toured the Museum of Fine Art, Virginia and the MoCA, Miami (2006), a residency and group show with the British Council at the Bangkok University Gallery, Thailand (2006) and Bloomberg New Contemporaries Liverpool and the Barbican Centre, London (2002). In addition, Rackowe has completed commissions for a permanent public sculpture, LP4, at Cardinal Place, Victoria, London (2005), and the UK Government Art Collection at the Ministry of Justice in London (2009). Roland Gätzschmann graduated from the Art Academy Düsseldorf (2006) studying with Rosemarie Trockel and Hubert Kiecol. 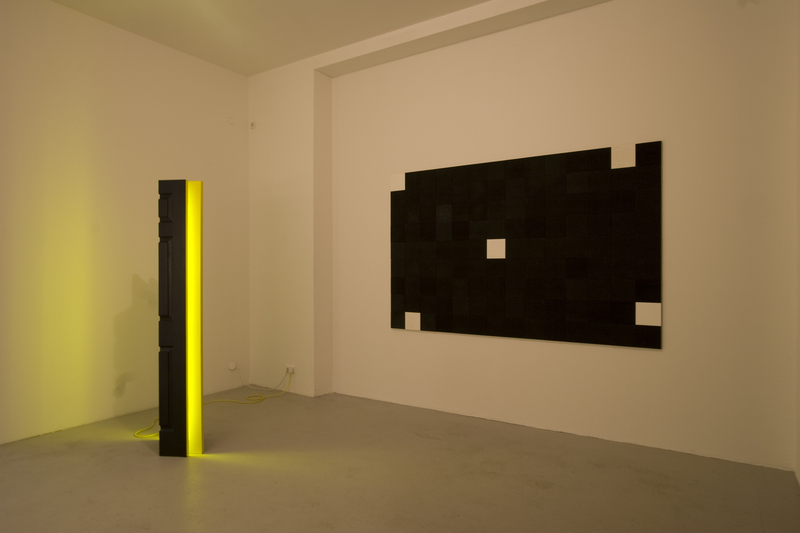 Past solo shows include: 1/x at Zimmerstraße, Düsseldorf (2008), Peter Mertes Grant (mit Gerda Scheepers) at Bonner Kunstverein (2006) and Kurs halten Steuermann at Simultanhalle, Cologne (2005). 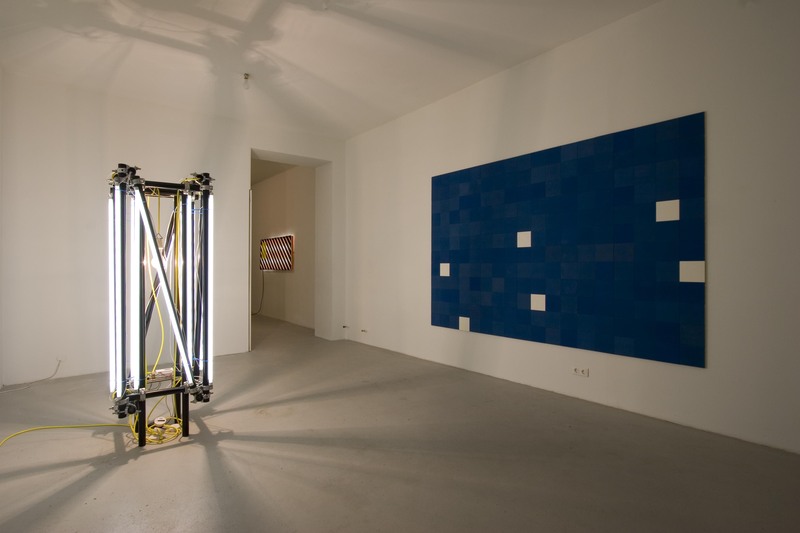 His work has been included in exhibitions such as: about: blank at Konrad Fischer gallery, Düsseldorf, Skulpturen im Park, Kulturförderung of WestLB at the park of Schloss Krickenbeck Nettetal, terrain vague at Bonner Kunstverein and an exhibition by the dHCS-awardees. In 2008 Gätzschmann was awarded the highly acclaimed Karl Schmidt Rottluff grant.